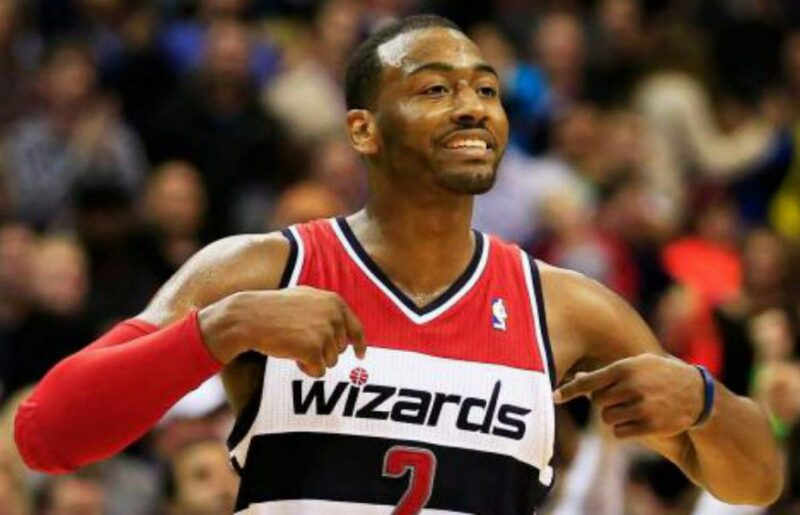 News surfaced this weekend that after receiving injections to reduce swelling in his knee, John Wall would be sidelined for two weeks. Unfortunately for Washington, these small nicks and bruises often tend to linger longer than the initial diagnosis. The Wizards have already had a bumpy start to the season and with a tough schedule looming, there couldn’t have been a more inopportune time for the injury bug to rear its ugly head. Here’s a ranking of the Wizards who need to step up if Washington is going to come out of this stretch with minimal wounds. As mentioned by Ben Mehic, the honeymoon is over for Brooks. And if he wants to recreate an optimistic buzz around this team and its fanbase, here’s his chance. Many thought Brooks was a not-so-creative inside the box hiring during the Summer of 2016. We’re only at the quarter pole of the season but his rotations still make you scratch your head, sometimes doesn’t make in-game adjustments fast enough, the team easily loses focus, and it looks like it may have spread to the rest of the coaching staff. If Wall truly only misses two weeks of play, that means he’ll miss games against Portland (Loss), at Minnesota (Win), at Philadelphia, Detroit, and another early season west coast road trip at Utah, Portland, Phoenix, and the Los Angeles Clippers. On paper, that looks like a 3-5 or a 2-6 stretch. Hopefully, Brooks will be able to push the right buttons like he did in Tuesday’s win, going with some unusual lineups down the stretch that got the job done. Bradley Beal has been the best player for the Wizards so far this season and if Washington is going right the ship while Wall is out, they are going to need Beal to continue playing like an All-Star. Bradley Beal is averaging 24.7 points in games where Wall has been sidelined this year while knocking down 46.4 percent of his shots in those contests. The sharp-shooter, who adds a little more to his offensive arsenal every year, is currently posting a usage of 28.7 percent, putting him in the 96th percentile of the league, per cleaningtheglass.com. With John Wall out, and Beal finding the ball more in his hands more often, there’s no reason to think that that number will drop. Scott Brooks has toyed with Beal being the primary ball handler on the court. Although it’s a very small sample size, it doesn’t feel (nor look) natural when Beal is bringing the ball up the floor to trigger the offense. However, he’s excelled as the secondary handler, specifically, when running the pick-and-roll with Gortat or the rapport they’ve built in the two-man game. With Wall out, Beal will not be lacking scoring opportunities and will be able to showcase his ability to be ‘the guy’ for this team. It’s not so much that he needs to step up, but rather, continue playing at an All-Star level for the Wizards to stay afloat during this stretch. Like Beal, Porter is putting up the best numbers of his career and has a huge opportunity to showcase to the national media that he was worthy of that big deal this offseason and maybe, just maybe, work his way into All-Star talks. Even though Porter is posting career-highs in points, rebounds, steals, two-point shooting percentage, and three-point shooting percentage (let me catch my breath), his usage rate is just 16.1 percent; putting him in just the 53rd percentile in the league. That’s unacceptable for a player as efficient as Porter. Scott Brooks is often criticized for running next to no plays for Porter but if the Wizards don’t want to fall behind in the surprisingly improved Eastern Conference, that has to change. Specifically, Porter has to be more assertive and aggressive when his number is called. The only criticism of Porter so far this year is that he still sometimes disappears during games. That can’t happen for one of the Wizards’ most efficient players. As one of the best and most efficient players on this team, it’s time for Porter to start being a bit more selfish and take matters into his own hands, as we saw late in Tuesday’s win over the Timberwolves. Frazier has been fairly underwhelming through the first quarter of the season. However, with the increased playing time about to come his way, he can change all that. So far, Frazier seems content in trying to get others involved but is very reluctant to shoot the ball. Frazier is averaging just 7.5 points per 36 minutes on a putrid 38.2 percent shooting. Should Frazier start jacking up shots to make the defense respect him more? Not at all. However, he does need to look for his shot just a little bit more as teams are lagging off, begging him to shoot. On a positive, Frazier is shooting a career-high 92.3 percent from the foul line. The only issue is, he doesn’t get there that often evidenced by his 0.7 attempts per game or 1.4 attempts per 36 minutes. If Frazier could watch the tape on Ramon Sessions while he was here in Washington, and mimic his aggressiveness, that would pay dividends for the backup point guard. He’s very solid at setting his teammates up, he now just has to take advantage of these extended minutes to make himself more of a threat and open up things for his teammates. It’s not going to be easy to replace the All-Star production of John Wall, however, if the Wizards are going to stay competitive during this tough upcoming stretch, it all comes back to these guys stepping up. Previous postWizards at Sixers Final: Wizards’ Hack-A-Simmons strategy erases deficit, but Wiz fall to Sixers, 118-113.